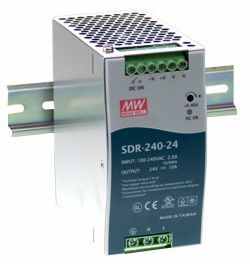 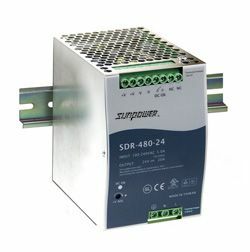 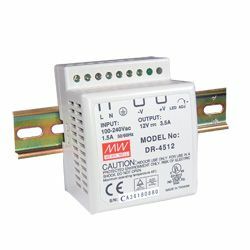 DR-45- are din rail mountable switched mode power supplies designed for rack mount applications in 5V, 12V, 15V & 24V outputs. 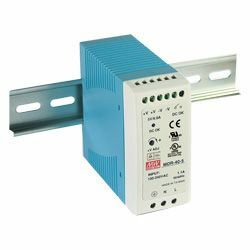 Featuring a fixed switching frequency at 100KHz and suitable for installation on TS35/7.5 or 15 they are a versatile range of units. 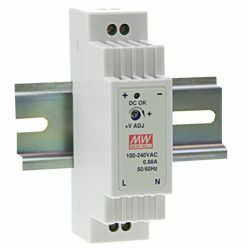 Standard features include Short circuit, over load, over voltage and over temperature protections.